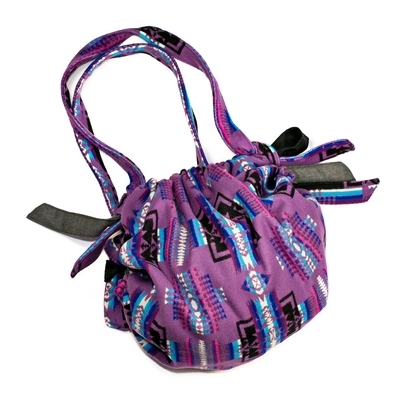 Created on the pattern of an ancient Italian model, this bag is made of pure wool from the prestigious woolen mill Pendleton (Portland, Oregon), from original patterns of native American people. This product is currently phisically present in our warehouses with Limited availability (only a few units are available, we may not be able to meet all the orders received). For certain types of payment or shipping method, it may require additional information for which the shipping time will begin following receipt of such information See General Terms & Conditions.